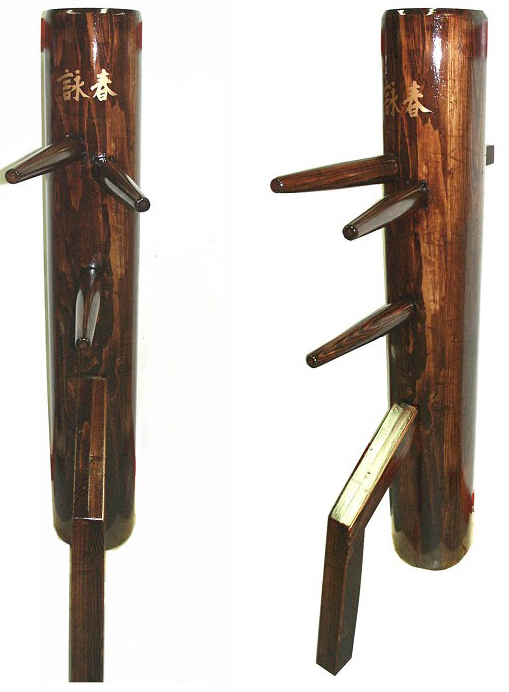 THIS SOLID HAND CRAFTED MOOK JONG IS DESIGNED FOR THE TRADITIONAL WING CHUN PRACTITIONER. 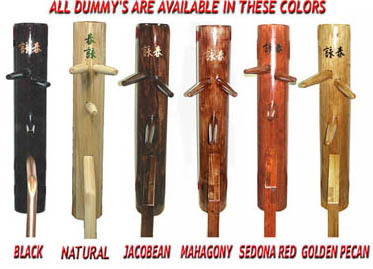 DUMMY ARMS AND LEG ARE MADE FROM 100% HARDWOOD ASH. TRUNK IS MADE WITH A DOUGLAS FUR CORE AND HARDWOOD ASH 1.5 INCH THICK EXTERIOR. ASH IS USED TO MAKE BASEBALL BATS AND AXE HANDLES. 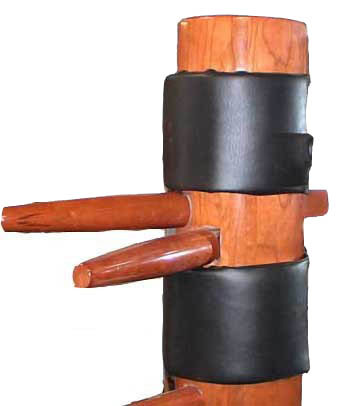 DUMMY IS 60" TALL, WITH 9" DIAMETER, AND WEIGHS 85 LBS. 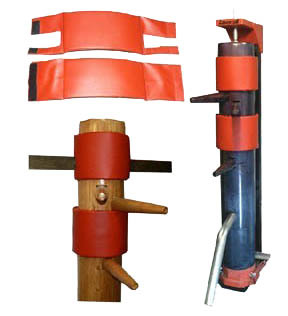 THE SPACING BETWEEN UPPER ARMS AND MIDDLE IS 8.5 INCH'S, AND MID ARM TO LEG SPACE IS THE SAME. LEG IS 3" BY 3" THICK. DUMMY ARM PEGS ARE 2" BY 1.5" MUCH STRONGER THEN THE STANDARD 1.5" BY 1.5".